SAMARITAN’s B.E.S.T. – Award 2014 | SAMARITAN INTERNATIONAL e.V. The 2014 SAMARITAN’s B.E.S.T. 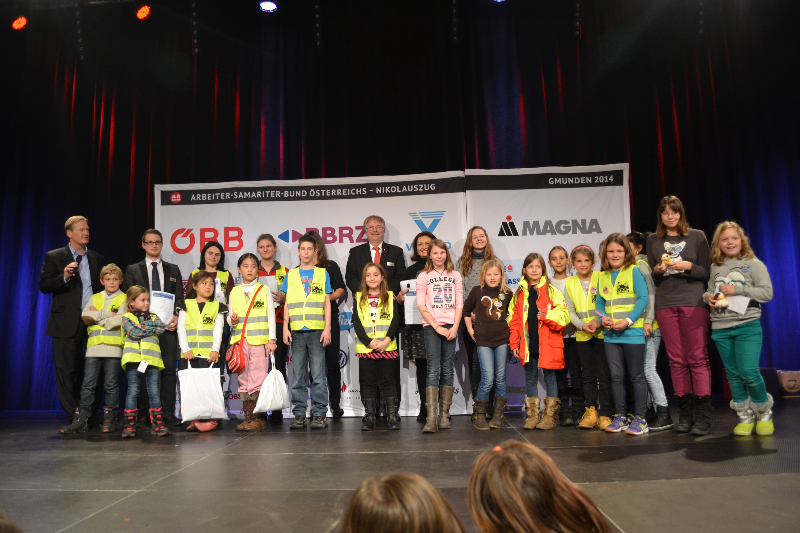 Awards were handed over on 29th November 2014 in Gmunden, Austria, as part of ASB Austria’s Saint Nicholas Train event. 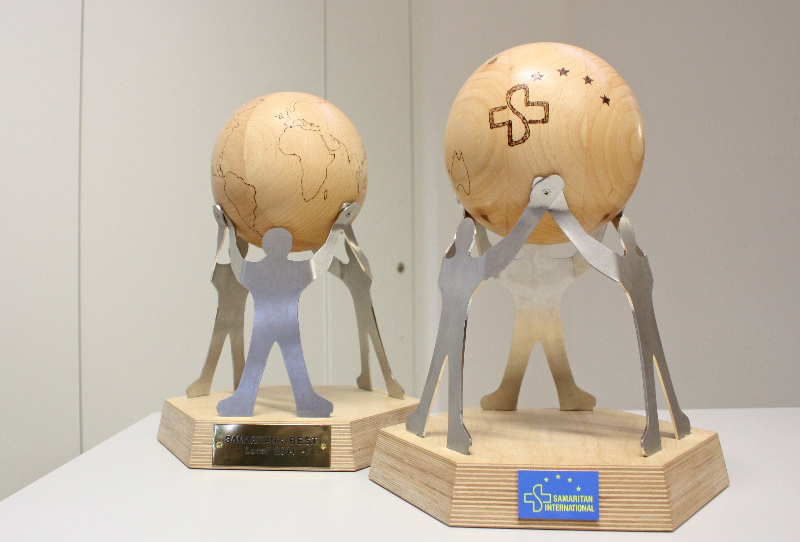 The special focus of the 2014 awards was Innovative Social Services / Social Affairs. In the following, you can find the winners of the 2014 awards. You can find a more detailed account of the award ceremony here. 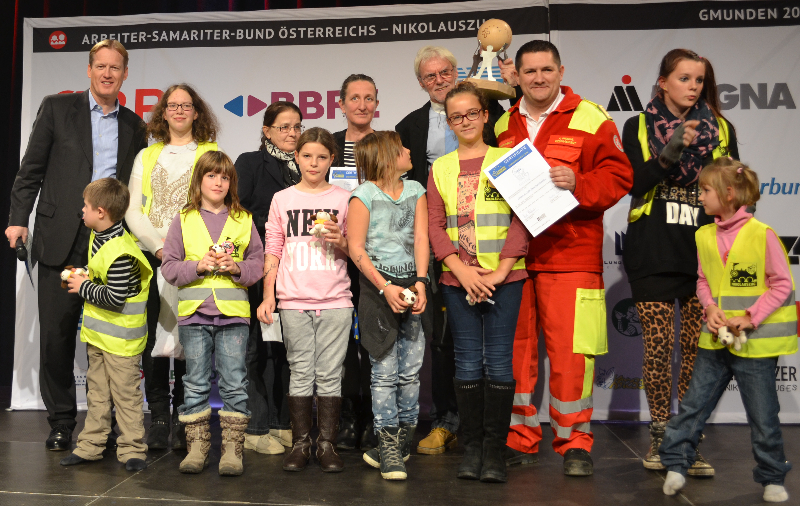 The EU-funded SAMETS project by ANPAS, ASB, ASBÖ, ASSR and WK won the first prize for their work in improving the situation of specific vulnerable groups and minorities in emergency temporary shelters after an evacuation necessitated by natural disaster. Once again, the trophy was created by the ASB sheltered workshop Zeesener Werkstatt, and the prize money of EUR 3,000 was generously donated by Union Versicherungsdienst. 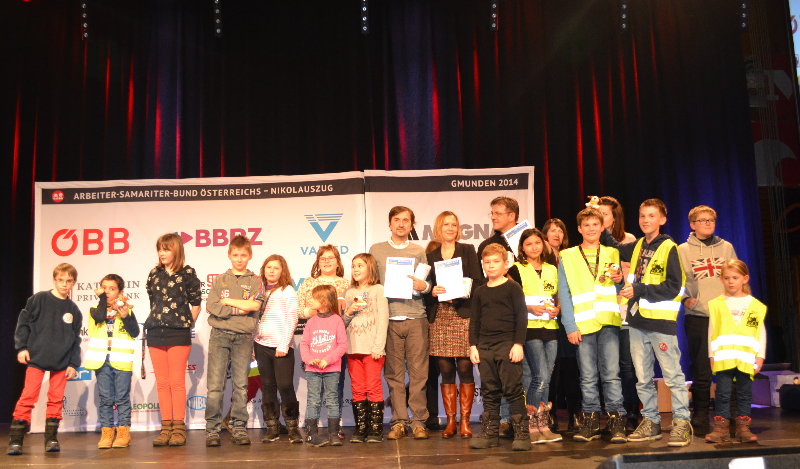 The second prize went to the project Emergency Response to Floods in Serbia. When large parts of the Balkans were hit by severe floodings, SAM.I. members IDC, ASB and ASBÖ as well as the NGO Farmamundi distributed aid goods and laid the basis for the economic recovery of affected regions. The third place went to the project “Europe = Borderless educational opportunities?” Samaritan organisations ASB Hamburg, LSA, LSB, SFOP and ZSU organised a youth exchange that enabled young people to discuss the remaining challenges of truly enjoying the benefits of a borderless Europe, particularly when it comes to education. The SAMARITAN’s B.E.S.T. local award of 2014 went to ASBÖ’s Internetcafé ZwischenSchritt. ZwischenSchritt is an inclusive cybercafé targeted mainly at homeless and formerly homeless people, providing a means for inclusion for them through the acuirement of essential digital skills as well as through enabling them to re-built and keep up their social lifes, via online communication as well as through the community the café as such provides. 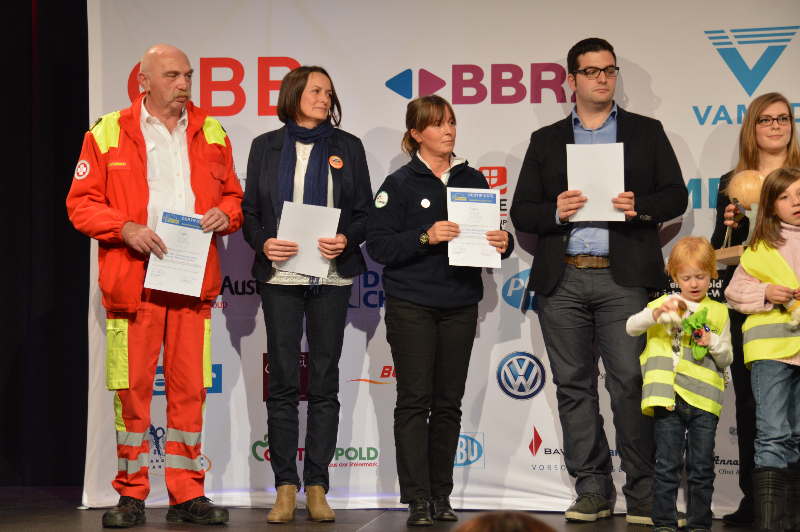 ASB Germany once again sponsored the 3.000 EUR prize money for the SAMARITAN’s B.E.S.T. local award.